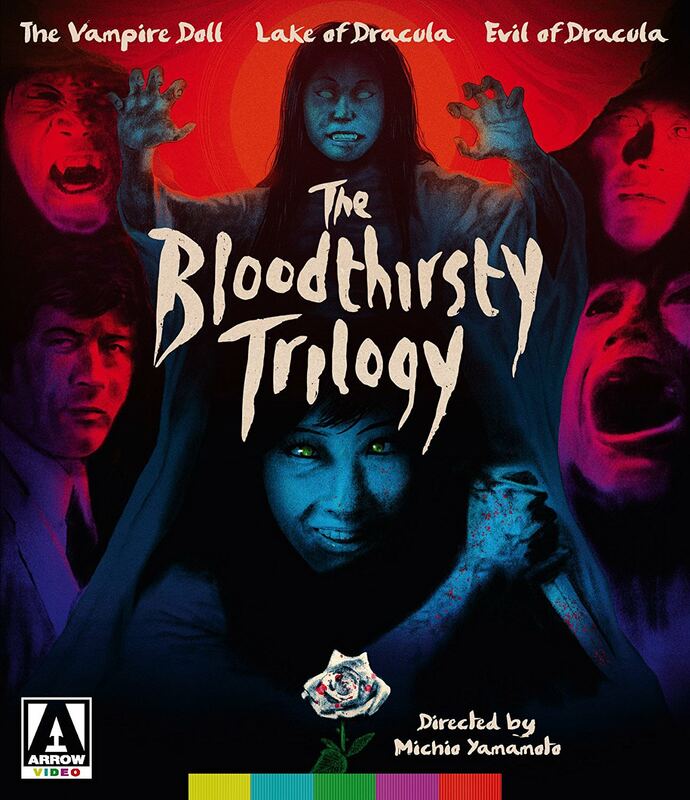 Toho's "Bloodthirsty Trilogy" that includes Vampire Doll (1970), Lake of Dracula (1971), and Evil of Dracula (1974) will finally get a home media release in the United States and United Kingdom courtesy of Arrow Video. The 2-disc BRD set will be released on May 14 in the UK and on the following day in the US. Featuring music by the one and only Riichiro Manabe. Last edited by Benjamin Haines on Sat Mar 17, 2018 10:27 pm, edited 1 time in total. I'm really looking forward to this release. I've always wanted to see these movies, and I love the attention Arrow gives their releases and had been itching for an excuse to buy more of their stuff! Nakano isn't credited in any of the films (they have very minimal special effects anyway) and Wikipedia Japan only links Nakano to The Vampire Doll. That's not to detract from anything though! These are great fun and I'm thrilled that they're available again (or for the first time, in the case of Doll), although I really wish Arrow would have included the English dubs. Those are pure '70s Hong Kong hilarity. The off chance that this release selling well spurs more classic Japanese horror and sci-fi with Arrow's deluxe treatment is reason enough to buy this. 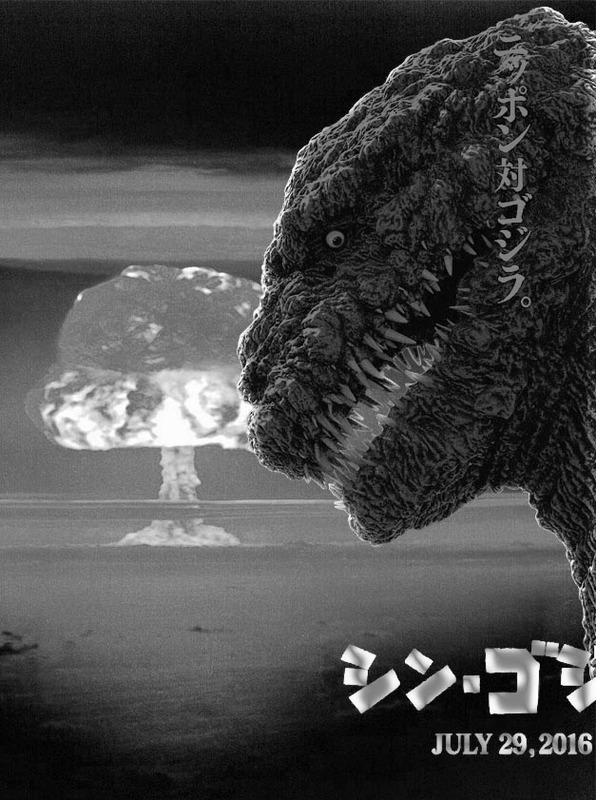 I salivate at what they could do with the Gamera movies or the classic Toho sci-fi flicks! IMDB and Toho Kingdom both list Nakano as the special effects director for all three films. I haven't seen any of them myself so I wouldn't know. I don't put much faith in Toho Kingdom's cast and crew listings. One thing that irks me about them is that they aren't taken from the film credits themselves. I'm not sure how they determine cast credit order, for example, because it's often very different from the billing in the actual credits. 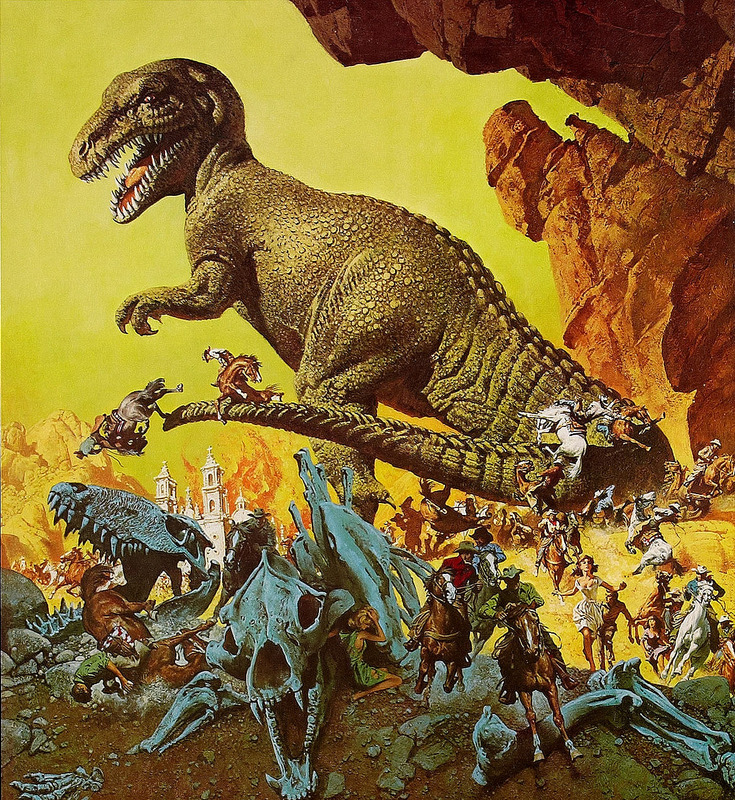 And for all I know, the IMDb credits were copied from Toho Kingdom. And I'm not trying to shoot you down or discredit you here, Ben, nothing like that. I've just seen Nakano listed as sfx director on these films by websites, publications, fans, etc., but that's not the case according to the Toho credit roll on any of these films. I'm not sure if he had any association with these movies at all, but he's officially not credited on the finished works. 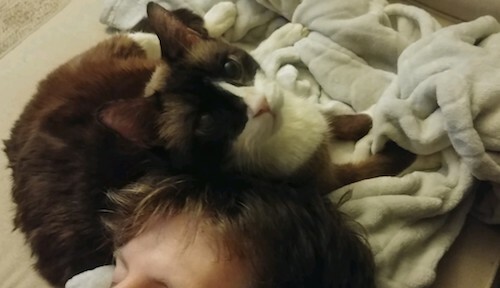 ^ That's interesting. I wonder if this upcoming BRD set will have the credit sequences subtitled in English. It is a shame that we won't be getting the Hong Kong dubs for these, as it's always a treat to hear the voices from the '70s Godzilla dubs again. I'm just glad these movies are getting released at all and I'll definitely pick up this set at some point. I have no idea if Arrow did their own transfer or not, but at least this doesn't look like the mush Toho has supplied in the past. Cool! I have the VHS for both "Lake" and "Evil", and though I a not the biggest fan of those dubs, still glad that they were included! Are these HK dubs with familiar voices? I last saw the VHS of LAKE fifteen years ago or so, so I don't fully remember, but I'm pretty sure it was the usual Hong Kong crew. lhb412 wrote: Are these HK dubs with familiar voices? Both are HK dubs but the personnel is different in either film. The Lake dub is similar to Godzilla vs. Hedorah and Space Amoeba, while the Evil dub is from the same crew that did Terror of Mechagodzilla, Prophecies of Nostradamus, and basically every of Toho intntl dub of that era. Hmm, that's a different reverse cover than what my copy has. ^The image I posted was from Arrow's site. It must've just been preliminary - I like your's more! So there are english tracks on lake of dracula and evil of dracula, how about vampire doll, does it include an english track also ? Gigan71 wrote: So there are english tracks on lake of dracula and evil of dracula, how about vampire doll, does it include an english track also ? I wasn't able to get the English audio to play for this one. I'll let you know how the others work. For me Lake was the strongest of the bunch but all three have a wonderfully spooky stylish look and feel to them. Makes me curious as to what a Michio Yamamoto Godzilla film would be like, I imagine something like a cross between Hedorah and Terror of Mechagodzilla. Godzilla fans should recognize quite a few faces as well - In Vampire Doll Sachio Sakai (Hagiwara in the original Godzilla and a bit player in many other Honda sci-fi films) cameos as a cab driver, and a young Akira Nakao (Commander Aso in the Heisei series and Prime Minister in the Kiryu films) stars as the male protagonist. Shin Kishida (the Interpol agent in Godzilla vs. Mechagodzilla) appears as the main vampire in the last two films, and he's one of the coolest screen vampires I've ever seen. The approach to vampirism is quite interesting as well cause it's not quite traditional, there's definitely a supernatural slant to it, but they do try to offer a more scientific rationale including hypnotism, hereditary blood conditions, and whatnot but things are mostly left open. 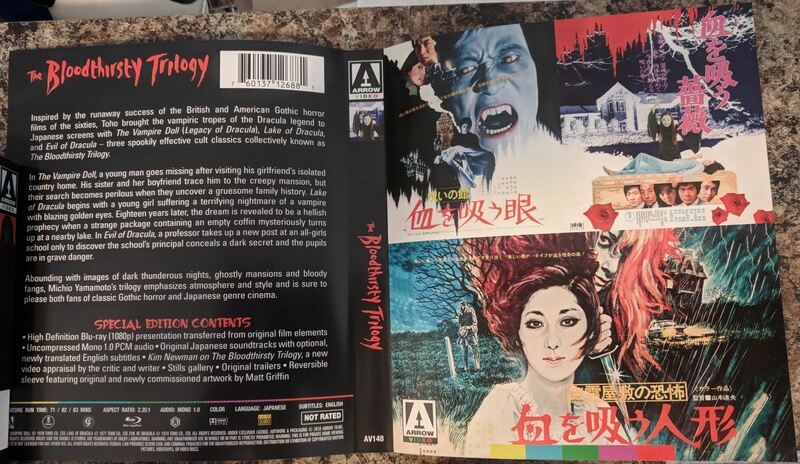 All three have a strong identity in that way, and there's a nice booklet included in the BD set that goes into how vampires were seen and depicted in Japanese films back in the day. Only thing that really bothered me, and I hope I was seeing things as it goes by fact, but I'm pretty sure there's some animal violence in the first film, where it appears a crow has its throat cut. There's also a pretty convincing dead dog in the second film, but I've been told that's most likely a prop. ^Kishida is all over '70s Japanese genre films. He's in Godzilla vs. Mechagaodzilla and is Toho's Dracula, but he also plays villains in two Lone Wolf and Cub films, Zatoichi Meets Yojimbo, and is the main villain in the second Lady Snowblood movie.